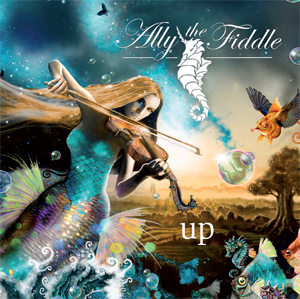 Ally the Fiddle – offizielle Webseite | 14. September in die Läden! Nur noch wenige Tage und das neue Album „UP“ ist im Handel!! „Think of rock fiddle players and you can probably name the significant on one hand. Jerry Goodman? Darryl Way? Jean-Luc Ponty? Female rock fiddle players may be more of a challenge. Anna Phoebe? Anne-Marie Calhoun? Following this rather tortured memory game, violinist Ally Storch fronts her own band and this is her second album.